Escape Motions has unveiled Rebelle 2.1, the next update to its fluid-simulation-based digital painting tool, improving blending of watercolours, and adding support for brush stroke smoothing and auto-saving. Although it’s nominally a point update, there is quite a lot of new functionality in Rebelle 2.1. Simulation of watercolour has been updated, making strokes blend more smoothly when working wet-on-wet, although comments on Escape Motions’ blog suggest that some users experience a performance hit. Updated: Escape Motions tells us that the slow-down was the result of a bug that has now been fixed. The brush renderer has also been updated, improving the display of thin strokes and adding support for automatic stroke smoothing – a feature only recently added to Photoshop. Workflow changes include a new autosave feature, which preserves the last 20 versions of a painting; plus the option to create your own custom groupings for tools, and to copy and paste brushes between tools. You can see a full list of chages via the link at the foot of the page. 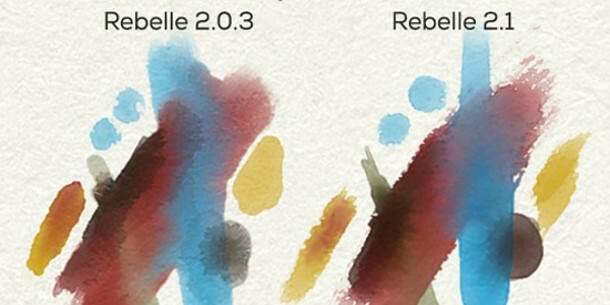 Rebelle 2.1 is shipping for Windows Vista+ and Mac OS X 10.10+. 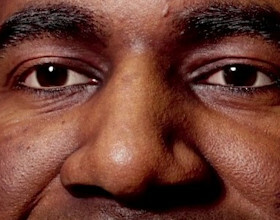 It costs $89.99.